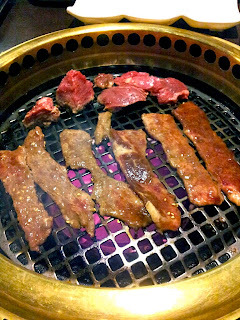 Dinner at Gyu-Kaku Japanese BBQ restaurant downtown on March 24, 2012. 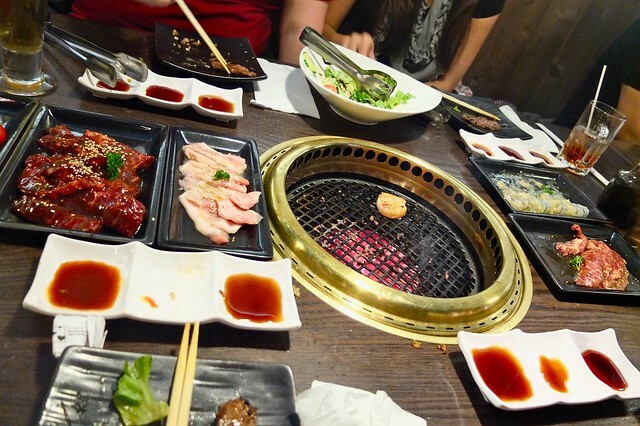 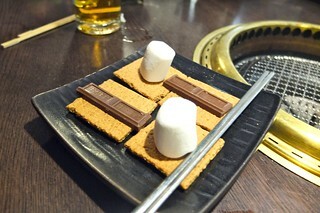 A bunch of us tried the new Japanese barbecue place Gyu-Kaku for a dinner party. 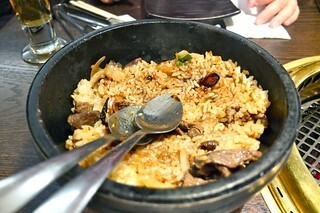 GK has locations all over the world with the newest in the 888 Nelson complex downtown. 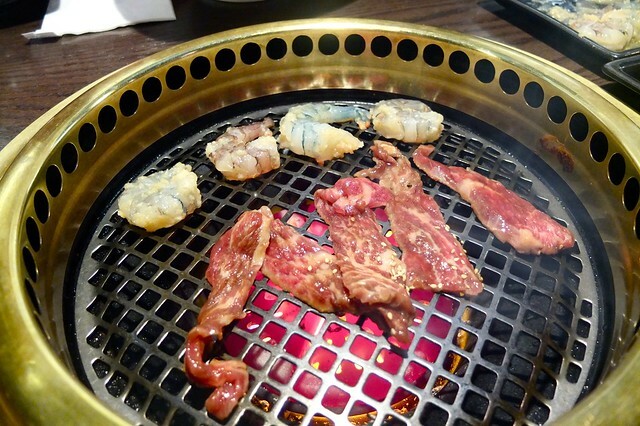 We gobbled up and grilled some eats ourselves like kalbi short ribs and garlic shrimp (very top) in addition to a medley of raw meat off the a la carte menu. 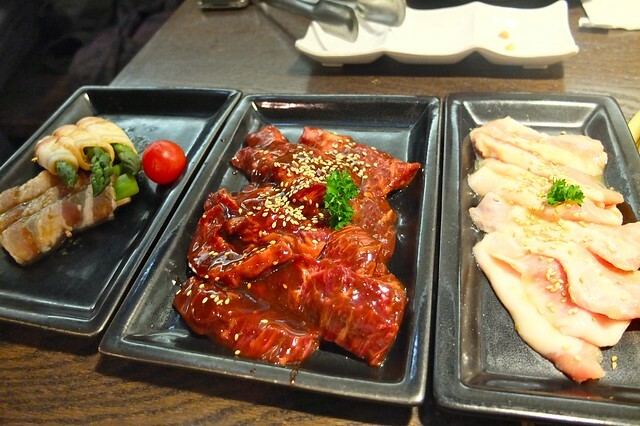 The well-prepared, sliced, and marinated meats were nicely portioned and made for easy sharing and communal dining. 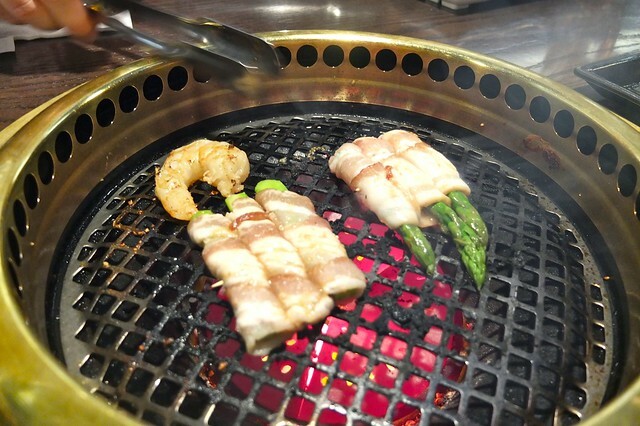 The menu of raw meat and seafood was pretty long an tantalizing including some bacon wrapped asparagus. 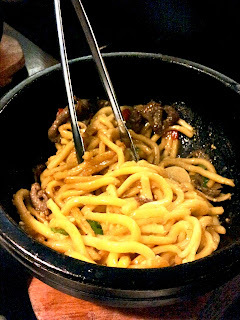 The sizzling rice and udon bowls were also quite delicious served piping hot with tons of flavour. 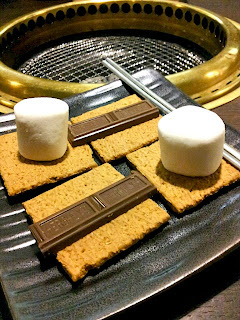 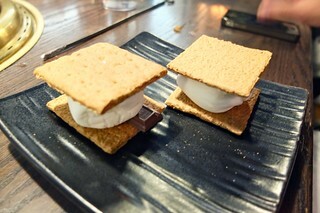 For dessert, we enjoyed the traditional marshmallow, Hershey chocolate and graham cracker s'mores cooked ourselves over the grill. 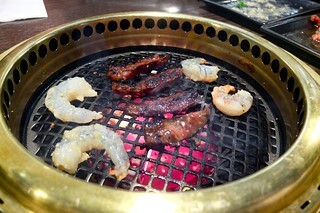 Gyu-Kaku offered some pretty good Japanese barbecue, albeit a little pricey, but still quite tasty and enjoyable.